April | 2018 | Nicholas Hoffman & Co.
Is Winning the Lottery a Poisoned Chalice? The recent “Powerball” prize of $570 million prompted me to consider whether winning the lottery is actually a good thing, especially when the lucky winner took extraordinary steps to remain anonymous. Before you purchase your next lottery ticket bear in mind that the chance of winning this recent lottery was about 1 in 292 million. By comparison the probability of being struck by lightning in the USA in a given year is much more likely, at approximately 1 in 700,000 according to National Geographic. Of course for many buying a lottery ticket is more about entertainment, especially when the potential winnings get really large. People can have so much fun playing the “what if we won” game, that the $1 spent represents a real bargain! I was given a close up view of the so-called “lottery” effect about ten years ago. I met a lady who had won $500,000 in the scratch off lottery. She was a friend’s niece, and she came to see me to get some independent advice before she was ‘taken advantage of’. The start point of our discussion was to recognize that the Government’s tax bite out of the winnings would reduce her net prize to approximately $300,000. The next issue was the requests from many family members, including some with previously unknown relationships, for a share of the prize. The justifications were various and included paying off debt, or simply having some additional spending money. A common refrain was “that only seems fair”! The minister from her local church had already suggested that tithing was appropriate. Moreover, his view was that a 10% tithe should be applied to the pre-tax sum, and there was really no further discussion on that matter. So very quickly taxes, relatives, and the tithe had reduced the headline $500,000 winnings to about $220,000. I urged her to pay-off her mortgage, credit card debts and personal loans. I was relieved when she took my advice. She now had $160,000 left. The next part of our discussion was about how this should be invested. My concern for this particular individual was that she should find some investment on which she could rely for a very long period of time, because she had no interest in learning about investing or meeting with anyone on a periodic basis. It had to be a simple, one-time decision. So I suggested the Vanguard Balanced Fund with a monthly or quarterly distribution of income to her. At that time it was one of the lowest cost options and it was simple to explain and hopefully for her to understand. Alas, I never saw her again, so I do not know whether she followed through. I suspect not. This then got me thinking whether the better option for people in this situation is not to take a lump sum but an annuity. While we are not big fans of annuities, it seemed that this might be a way to protect an unsophisticated recipient from the many outstretched hands and the pressures of responsibly handling a large amount of cash! 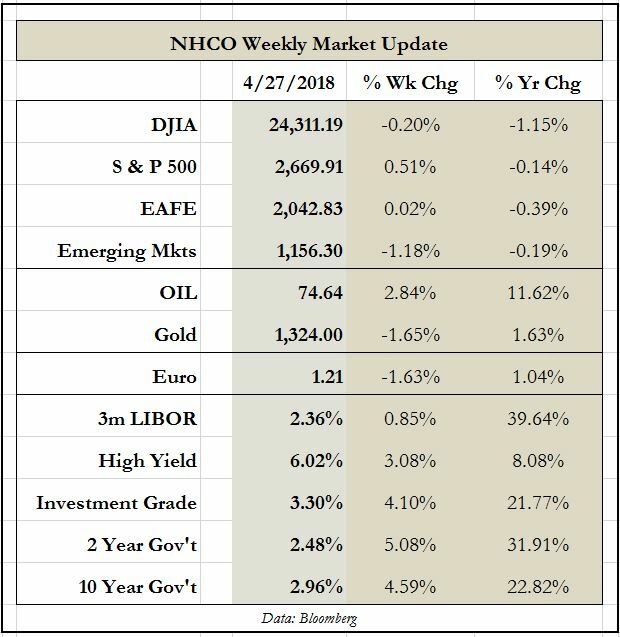 This entry was posted in The Weekly on April 30, 2018 by nhoffmanandco.